Many major cities worldwide have already announced the end of fossil energies between 2030 and 2040: energy transition first requires a policy decision - replace diesel bus fleets with their electric equivalent. The Keywatt® station has been designed especially for charging electric buses in the depot overnight. Taking up floor space of just 0.35 m2, standing back-to-back or against a wall, it is compatible with high-up or floor-level cable outputs, for easy installation. With potential parallel installation of up to two units for a 100 kW output, run remotely for smart scheduled overnight charging, it also manages power consumption in optimum fashion. And for even greater peace of mind, the Keywatt® station is based on a filterless, sealed design, with reduced maintenance and far longer lifetime, as the electronics are protected from any contact with the outside. IES bus fleet chargers benefit from remote maintenance and upgrading and are designed to the highest possible industrial standards. The service level is therefore guaranteed in all circumstances. 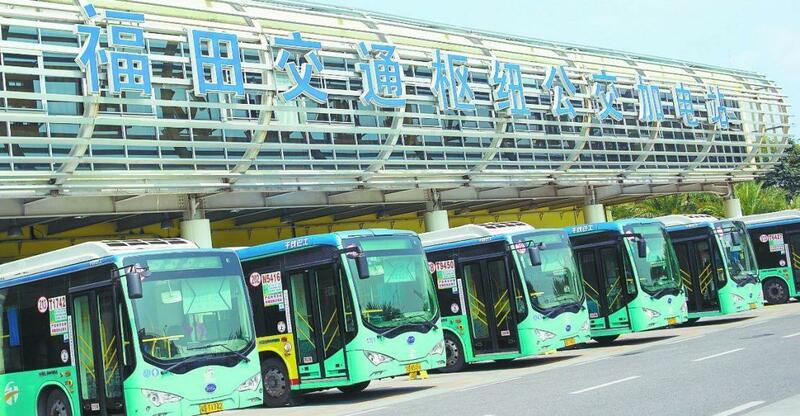 Shenzhen, China, a megacity with a population of 12 million, is now served by 100% electric buses. In barely nine years, the entire fleet has been replaced, with over 16,000 electric buses in circulation. The city thus saves over 350,000 tonnes of fuel every year and avoids 1.5 million tonnes of CO2. Potential parallel station for accumulated output up to 100 kW.